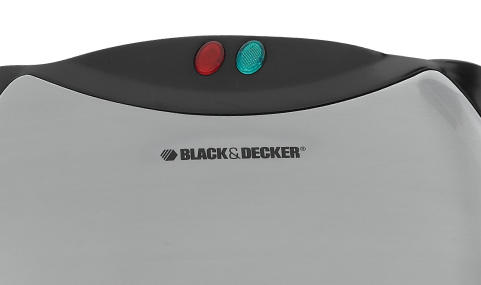 Cook up all of your favorites with the BLACK+DECKER 4-in-1 Multipurpose Grill. 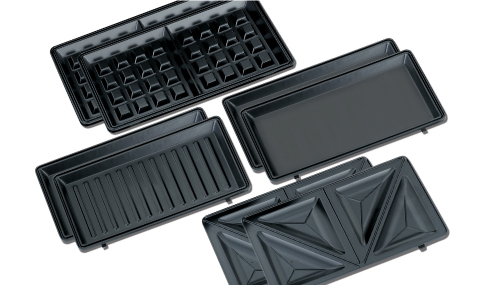 Enjoy the versatility of interchangeable plates with two waffle plates, two sandwich plates, two griddle plates, and two grill plates. Plus, they’re all nonstick for fast and easy cleanup. 4.3 x 10.9 x 8.9 in. The set includes two waffle plates, two divided sandwich plates, two flat griddle plates, and two grill plates with classic grill lines. For hassle-free storage, on the counter or in the cabinet. 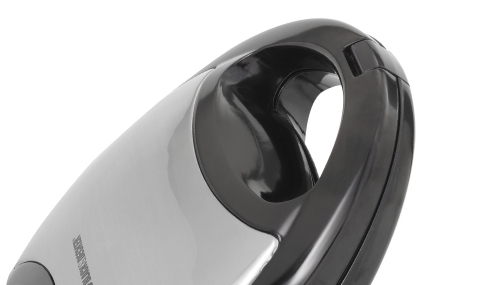 The grill sits on end for space-saving convenience. Cleanup is a breeze thanks to the nonstick plates. Open and close the grill while staying away from the heat. Two lights show when the unit is plugged in and when it’s preheated.